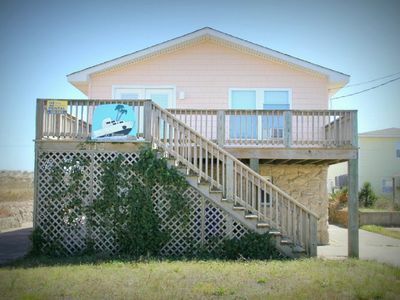 After years of family trips to Topsail Island and creating wonderful memories, we now have our very own beach house – “AT LAST”!!! 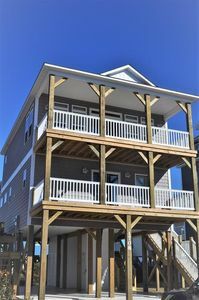 It is located on the south end of beautiful Topsail Island and is a two-minute walk to the beach. 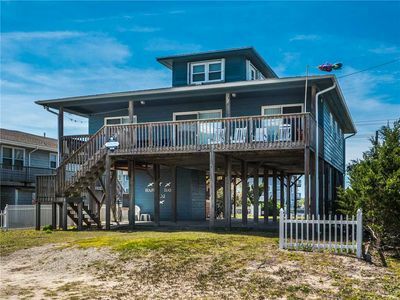 Appropriately named, “At Last” is truly the perfect beach get away with three roomy bedrooms, two baths, open floor plan, enclosed outside shower and even an outside sink to clean your catch of the day. 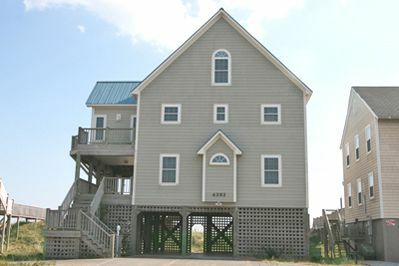 It is so unique – definitely a beach house like no other. Although siding now covers the logs on the exterior, the house was originally built as a log cabin. Inside, you can still see the hand crafted tongue and grove walls in the living area and master bedroom. In the downstairs bedrooms, the tongue and grove, beamed ceilings give each room such a cozy, warm feeling. 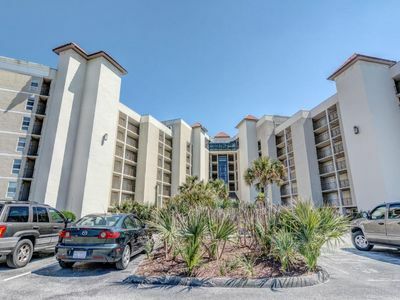 The open living area, with grand vaulted ceiling, includes a kitchen that’s well-stocked with small appliances, utensils, pots, pans, plenty of dinnerware and silverware. 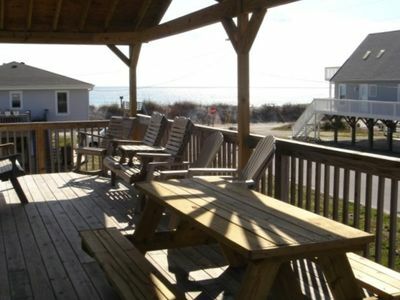 The dining area has a table for six and a bar that seats four people. 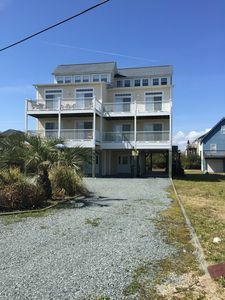 In the unlikely event of rain at the beach, you can enjoy the hundreds of channels on the living room 51” flat-panel HDTV, watch a provided movie on the DVD/Blu-ray player, read a book, play a game or put together a puzzle. 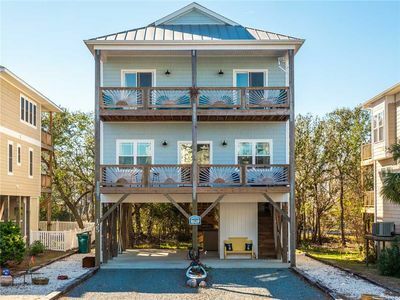 There's a long, covered front porch with rocking chairs and large screened back porch that's surrounded by your own maritime forest of Live Oaks. 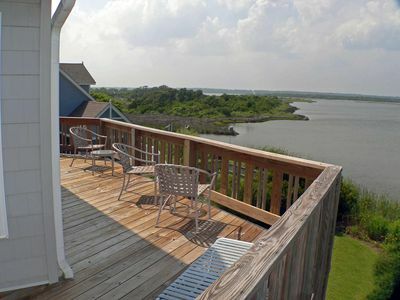 The private balcony off the large upstairs master bedroom (with king-size bed) is a wonderful place to enjoy the ocean view while having your morning coffee. The master bath, with new tile shower and glass doors, was recently renovated with new flooring, ceiling, sink, fixtures and nautical décor. 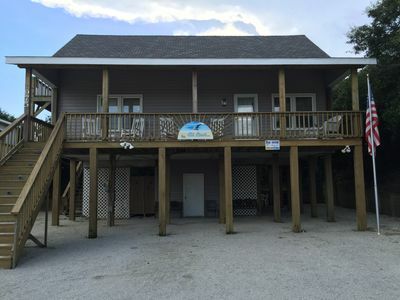 On the main level, “At Last” has two additional roomy bedrooms with nice flat panel HDTVs and DVD players and another full bath (with new paint, fixtures, mirror and decor.) 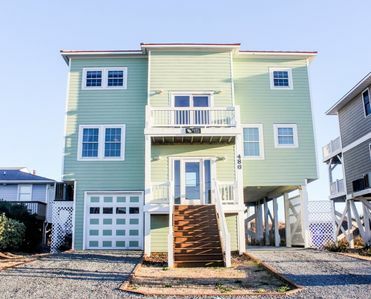 In the downstairs utility room, you'll find a full-size washer, dryer and extra refrigerator as well as storage for the provided beach chairs, boogie boards, sand buckets, and beach toys. 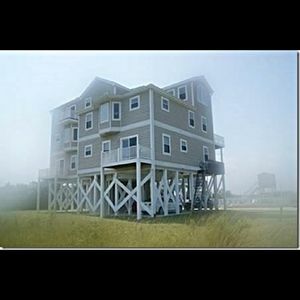 Our home comfortably accommodates a maximum of eight guests with plenty of parking space. 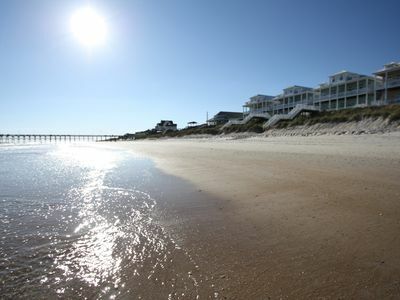 Topsail Island is a beautiful, safe, unspoiled, barrier island with 26 miles of wonderful sandy beaches. 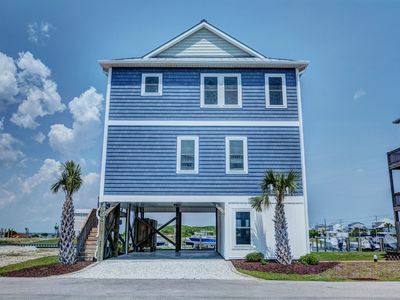 “At Last” is located in the family-oriented Topsail Beach community on a friendly, quiet street that’s great for biking, jogging, or strolling down by the water. 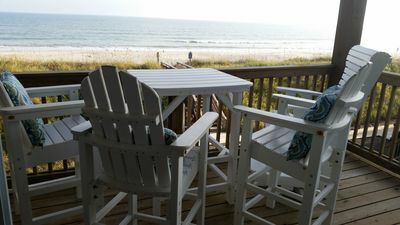 From our house, it’s just a few steps to the beach where you can relax, soak up the sun, and watch the waves lap onto the wide, sandy shore. 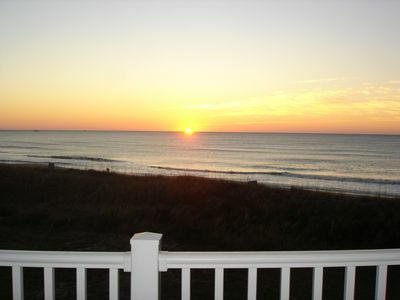 Walking down the street, in the other direction, it dead ends into the picturesque waterway where sunsets are magnificent! We looked a long time to find just the right beach place and know this is it!! 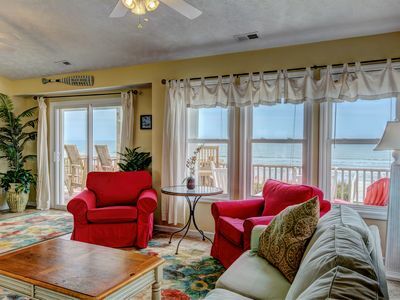 Come on down, settle into our cozy home, stroll on the beach, cast a line, enjoy the area and we’re sure you’ll agree that you, too, have found your favorite beach vacation spot – At Last!!! 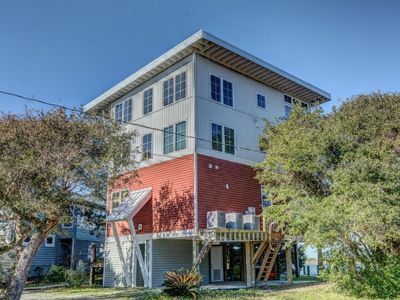 Professionally decorated, 4-story home with elevator. Bikini Bottom is perfect! 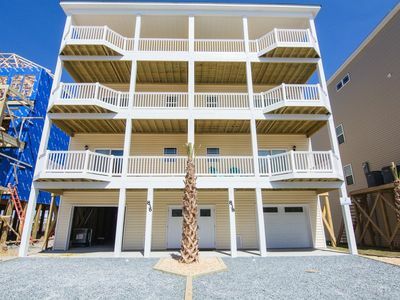 Affordable Beach Getaway. Newly Renovated Bungalow. 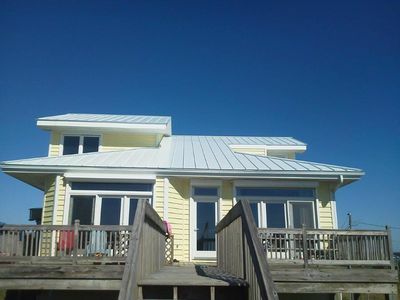 Your Oceanfront Carolina Blue Vacation! 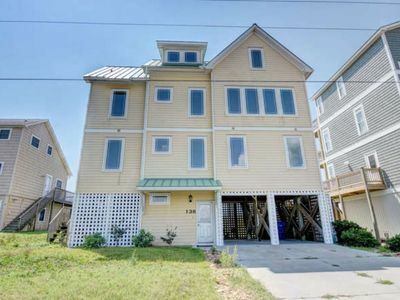 "Comes A Time" Oceanfront - Super convenient location, close to everything!